This Christmas bauble is the perfect addition for your Christmas tree. 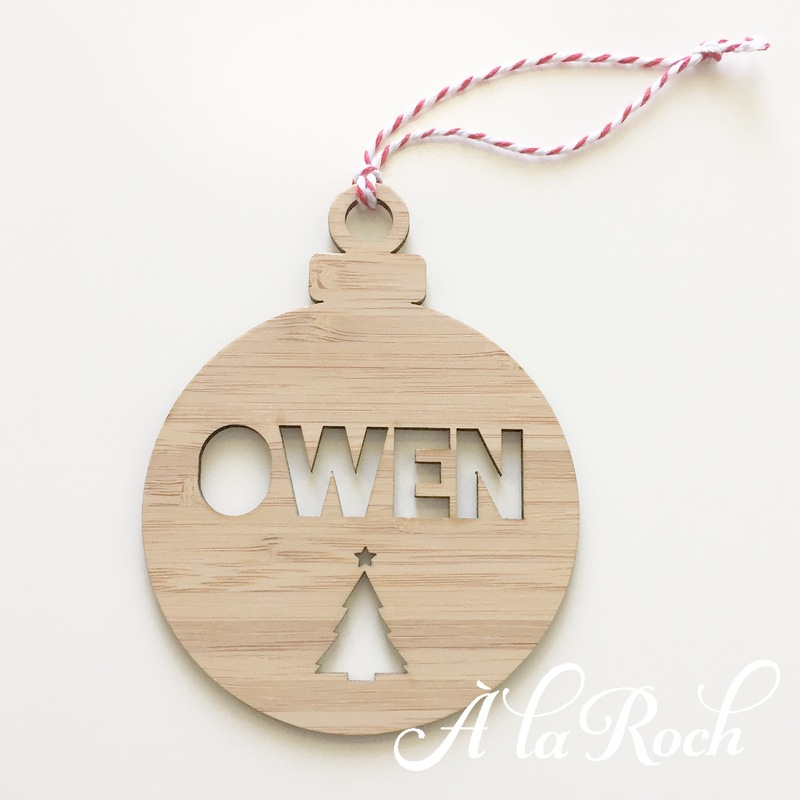 The bauble measures 7cm wide and 10cm high. 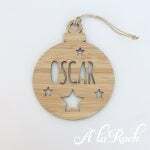 The bauble comes with a matching hanging string ready to hang. Shown in dark bamboo. 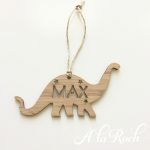 À la Roch creations are cut from high quality 3mm acrylic or wood. The price is for a single name. If you would like a customized bauble please use the contact form for a quote. You can reuse your bauble year after year when handled with care. Baubles are not toys and should be kept out of reach of children. These baubles are Australian made and are posted Australia wide and internationally.